I am trying to fill my body with as many antioxidants as I can on my journey to feel better and look better. 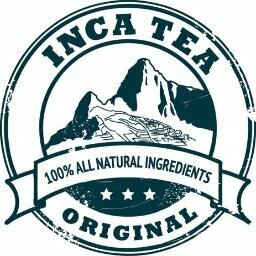 I am thrilled to be trying out “Inca Tea” chock full of Peruvian purple corn, known to work wonders against aging, anti-inflammatory, weight loss, diabetes as well as lowering blood pressure and reducing heart risks. I just cannot believe how many great things this tea has in store for us and why not try something new as January is Hot Tea Month. Has everyone just ran out to purchase this tea?!? I am in particular loving their newly launched flavors “Pachamama Green Tea” and “Cusco Chamomile”. I love the coconut and ginger flavors in the green tea and this is the first time I have enjoyed chamomile and sensed such a strong and inviting vanilla flavor. These are such great additions to an already amazing tea line. If fruity teas are your thing “Machu Picchu Mango” and “Punchau Peach” will probably do the trick. I have to tell you the peach is simply delish and I really enjoy it as an after lunch treat. So many great options to an already growing line of tea that is both yummy and so good for your body! Don’t take it from me; please visit http://www.incatea.com for more information on the product and where you can purchase it.